Friday night bites at Vini e Fritti; always a fantastic way to kick off the weekend. 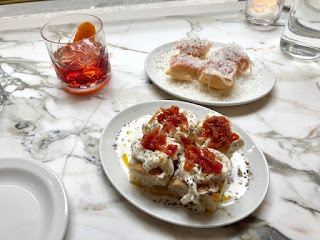 This Roman style apertivo bar located in the Redbury Hotel was opened last year by my favorite restaurateur Danny Meyer. 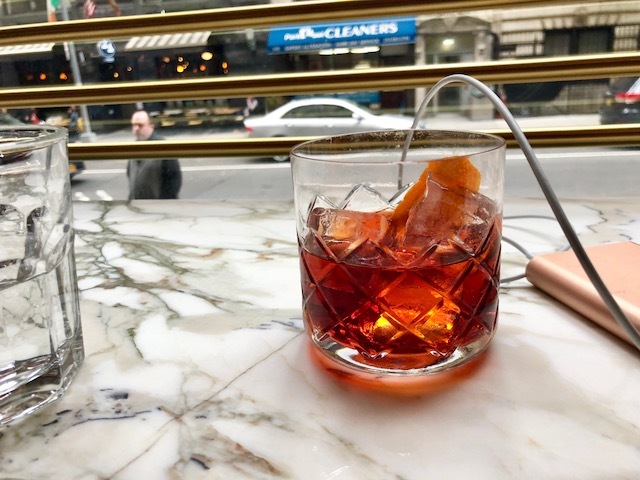 The small space is adorned simply with a handful of four top tables, a long marble topped bar and big windows up front perfect for watching the busy streets outside. I always intend to just pop in for a drink but once those small plates of fritti start to stream out of the kitchen, its impossible to resist. 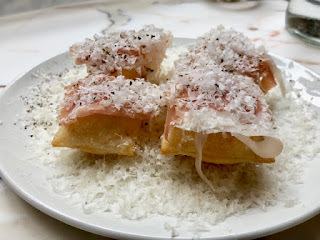 Gnoccho Fritto con Proscuitto e Parmiginao; impossibly light fried pockets of pizza dough topped with layers of proscuitto and pepper dusted parmigiana cheese. 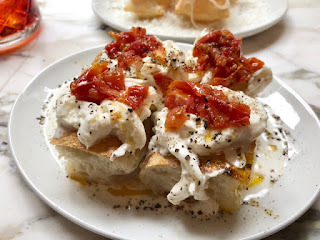 Crostino di Straccistella con Pomodorini; some of the creamiest mozzarella cheese that ever existed drizzled with olive oil & preserved tomato on focaccia bread. 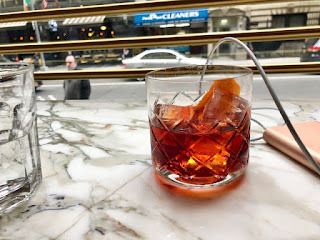 My favorite spot is at the windows up front with a glass of champagne or a classic Negroni; slowly watching the evening slip into night.